IF YOU ALREADY OWN A MARANTZ PMD620MKII YOU MAY STILL PURCHASE SOME OF ITS ACCESSORIES FROM OUR PMD620MKII WEBSHOP BELOW. This new Marantz PMD620MKII (Mark 2) recorder is based on the PMD620 Mark 1 version which is now in our product archive if you would like to review its description and features. That page will give you a good overall picture of what the PMD620 offers before reading this page which touches on the enhancements the PMD620MKII introduces. 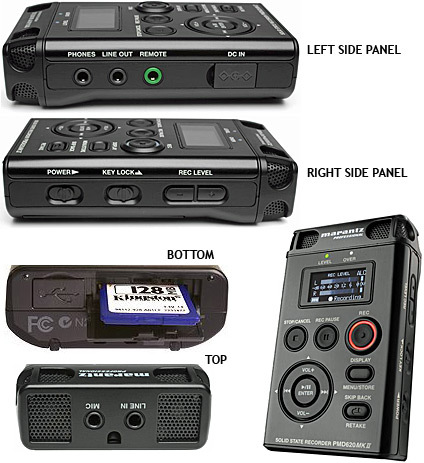 The Marantz PMD620MKII is a high performance handheld digital recorder that records to SD flashcard media in either PCM (.WAV) or MP3 audio formats. 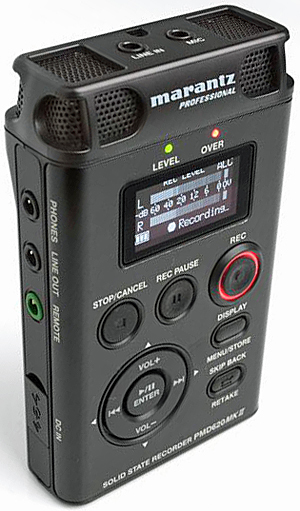 The light weight compact form (just 62 x 102 x 25 mm), ergonomic design and ease of operation lend the PMD620 MKII to a wide range of users, including journalists, reporters, municipal and meeting recorders, podcasters, musicians and sound recordists everywhere. Features include an built-in stereo condenser microphone array for point and shoot recording, an intuitive control surface for single handed operation with thumb operated transport wheel and a tactile, red illuminating, record button. A high-contrast, low-power draw organic LED screen provides vivid menus to guide the user through setup and operation. 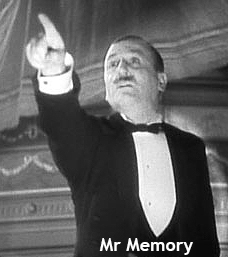 Record settings are selectable between music recording and voice recording. 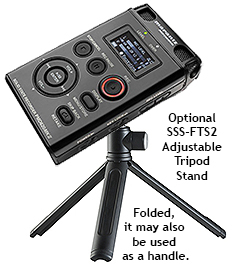 Recording time with a 4Gb SDHC card extends from 3 hrs 44 mins for stereo PCM at 24-bit/48 kHz, to 283hrs 44mins – almost 12 days – for mono MP3 at 32 kbps. Up to 32Gb in size can be utilized and the new built in SD Card Check makes it easy and convenient to check card compatibility. The new Retake feature allows a simple button press to take you back though the previously recorded audio to create a new drop-in point. This enables easy re-recording part way through unwanted takes ideal for dictation and verbal note gathering. New Secure Audiofile Recording features have also been added into the MKII with Password Protection and File encryption that work hand in hand to keep recordings safe from unauthorized access. MP3 files can be encrypted to .MPS files and WAV files encrypted to .WAS files utilizing a 4 digit password protection feature so that only those with the 4 digit key can open and play the files either on the player, or in the new updated PMD Marker Editor software, included in the box. This software (for PC) allows marker points made on the recorded file to be adjusted post-recording, and a new file created, meaning basic editing can be carried out on any handy PC or laptop, and files posted for immediate distribution. Marantz RC600 Remote Transport Controller (fits to mic) for PMD660, PMD661/PMD661MKII & PMD620 - IN STOCK BUT DISCONTINUED WITH NO REPLACEMENT - WE BOUGHT THE LAST BATCH AVAILABLE ANYWHERE IN THE WORLD - SO GET ONE WHILE YOU CAN!